The mission of Jesus Christ and the Holy Spirit is the mission of the Catholic Church, to reveal the God the Father, Son, and Holy Spirit to all people and to teach them about the fullness of His love. "Indeed the primordal mission of the Church is to proclaim God and to be His witness before the world" (GDC). Catholic education shares in a special way in the Church's mission by proclaiming and witnessing Jesus Christ and His teachings. Catholic education, which includes education, formation, and transformation, exists in order to evangelize. Two important elements that make up the process of evangelization are proclamation and witness. It is essential therefore, that those who serve in Catholic education to proclaim Jesus Christ, His life and ministry, present the Catholic faith in its fullness, and be Christ's witness to the world. To educate and to foster the growth of each student: mind, body and spirit. St. Vincent de Paul Catholic Schools, united in Christ and guided by the spirit and educational values of St. Vincent, transform each student through the power of faith and knowledge. Excellent – placing quality at the center of educational activities. Holistic – educating the heart, spirit, and mind. Integrated – blending the abstract with the practical. Creative and Flexible – seeking to meet the needs of a diverse student population. Collaborative –engaging cooperative endeavors with parents, students, administration, faculty, and staff. Focused – striving to model St. Vincent de Paul and his mission of service to the poor. The St. Vincent de Paul School Board works with the President, Principals, and Pastor to set policy for Pre-K through 12th grade. In addition to setting policy, the Board also endorses procedures for the schools. Meeting are held throughout the year generally on the FIRST Thursday of the month (in the Marillac Room) and are OPEN to the public during the general session only. Meetings are noted on the annual calendar and on the School Board web page, along with the Board President’s name (for contact purposes). Individual visitors sit in a designated location for any Board meeting. No communication between the visitors and the board members is allowed once a meeting begins. All visitors are required to leave during any executive session of the School Board. Anyone wishing to address the St. Vincent de Paul School Board, must contact the Board President one week in advance of the next meeting. The requested topic, if appropriate, will be placed on the agenda. Appropriate topics are those that directly relate to School Policy or Procedure. The Board does NOT discuss personnel or personnel issues, students or student discipline issues, or other matters that are confidential. The issues are handled at the local level through teachers and then through administrators. All meetings begin at 5:15 p.m. in the Marillac Room unless otherwise noted. Rev. Joe Geders, C.M. 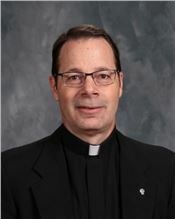 (ex officio) is the Pastor of St. Vincent de Paul Parish and the Superintendent of St. Vincent de Paul Catholic Schools. Rev. Rich Wehrmeyer, C.M. 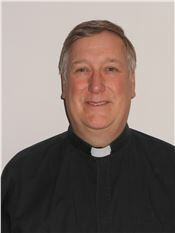 (ex officio) graduated from St. Vincent's College Seminary in Cape Girardeau in 1979. He is a college graduate of St. Mary Seminary in Perryville, MO in 1983 with a Bacholer of Arts in Philosophy and a university graduate of St. Thomas Theological Institute in 1990 in Server M. Divinity. In his spare time Fr. Rich enjoys music (guitarist), sports-especially golf, and serving the poor after the example of St. Vincent. Deacon Robb Huff, Head of Schools (ex officio) is the Head of Schools at St. Vincent de Paul Catholic Schools. Mrs. Diane Unterreiner, Elementary Principal (ex officio) is the Principal for St. Vincent de Paul Elementary School. 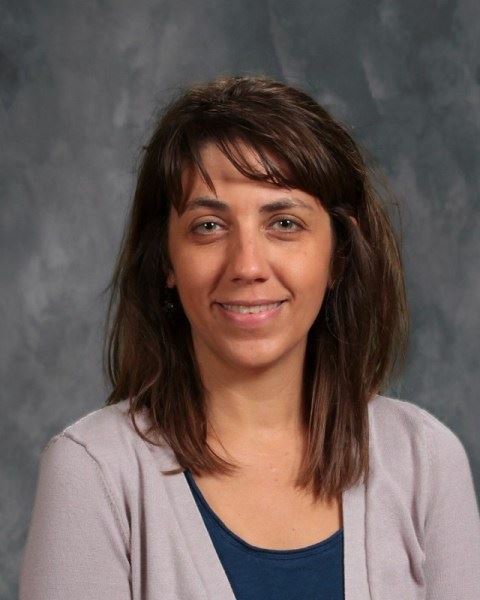 Emily Hager, PSR Director (ex-officio) is the Director of the North Perry County Catholic Community Parish School of Religion. She currently lives in Ozora with her husband Bryan and their three children, Noah, Emma, and Simon. All three children attend St. Vincent Schools. Nikki (Schumer) Strattman, President was born and raised in Perryville and faith has always been a big part of her life. Her parents are Bob and Jackie Schumer and she has three siblings - Sarah Layton, Janelle Pope, and Fr. Jason Schumer. Nikki attended St. Vincent Schools from K-12th grade and graduated in 1996, then graduated from St. Louis University in 2000. She married her high school sweetheart, Todd Strattman, and they have two children, Jacob (11th grade) and Allie (8th grade). She is the Manager of Manufacturing Information's Systems at T.G. Missouri. In her free time, Nikki enjoys camping, boating, 4 wheeling, sports, and any activity spent with her family. Nikki is very passionate about the St. Vincent Schools and Parish and is proud Alumnus. She is happy to be serving on the Board of Education. 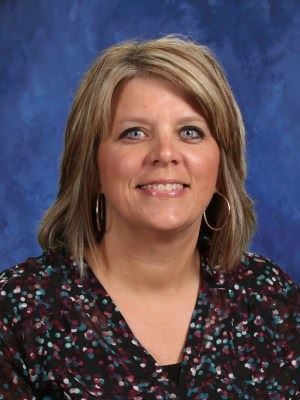 Cheri Sauer, Secretary attended both St. Vincent Elementary and High School. She graduated in 1992 and then attended Southeast Missouri State University and Cape Career an Technology School. She graduated with a certificate in Respiratory Therapy. In addition to being a full-time mom, she also works at Perry County Memorial Hospital as a Respiratory Therapist and a Courtesy Car Driver. Cheri and her husband Jim have six children. Five of them attend St. Vincent Schools: Dominic (12th grade), Charlie (10th grade), Monica (8th grade), Brigid (5th grade), Daniel (2nd grade), Kolbe, the youngest, is four years old and spends his time at home with his mom. Cheri enjoys going to her kids cross-country meets, basketball and football games, band and choir concerts, and play performances. She also helps with both the youth group. Melissa (Bohnert) Barber, Member was born and raised in Perry County, MO. She is a former graduate from SVHS, who then attended and graduated from college, and has been working full time in a medical profession since. 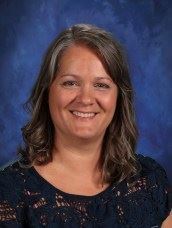 Melissa is married to Mark Barber and they have three children who currently attend St. Vincent Schools: Reese (freshman), Simon (7th grade), and Jada (2nd grade). In her spare time, Melissa enjoys being outdoors, watching her children play various sports, and spending time with her family and friends. Steve, Dobbelare, Member is a 1987 graduate of Perryville High School. He attended Kansas State University College of Architecture, Planning and Design and then attended Southeast Missouri State University graduating with a B. S. in Industrial Technology with an emphasis on Visual Communications. He has been employed at TG Missouri for 11 years as a Manager in the Safety Systems Machine Engineering department. He and his wife Sonya (SV class of '89) have been married for 25 years and have two sons, Mitchell (SV class of 2017) and Garrett a junior at SV. Brad Hennemann, Member is a 1993 graduate of St. Vincent High School. He attended Southeast Missouri State University where he graduated with a Bachelor of Science Degree in Nursing, then later a Master’s Degree in Nursing. Brad has worked with Perryville Family Care Clinic since 2003 as a nurse practitioner. He and his wife Jessica have 5 children currently in the St. Vincent school system. They enjoy spending their free time together outdoors camping, hiking, kayaking, fishing, and playing nearly any sport. and her daughter participate in Girl Scouts. 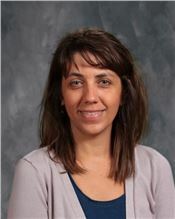 Lisa (Hennemann) Meyer, Member is a 1989 graduate of St. Vincent High School. She has been employed at Keller Motors in the Accounting/Warranty Department for twenty-seven years. She is marreid to Jeremy Meyer and they have four children, Ashley (24), Megan (22), Jacob (5th grader at SV), and Sydney (1st graders at SV). In her spare time, Lisa enjoys camping, sports, and any activity with her family. Jeremy Light, Member is a 1995 graduate from Murphysboro High School. He later attended Middle Tennessee State University, where he graduated from in 2001 earning a Bachelor of Science Degree with his minor in Business Management and an emphasis in Concrete Industry Management. In 2002, Jeremy and his wife Leslie moved to Perryville to begin their family. Together they have four children, Owen (10th grader at SV), Mason (8th grader at SV), Lauren (5th grader at SV), and Jackson (4th grader at SV). Jeremy is very supportive of his children in all of their sporting endeavors. When not rooting for his children, he enjoys the outdoors and weight lifting. Chris Wibbenmeyer, Member is a 1991 graduate of Perryville High School. He then attended the University of Missouri-Columbia and graduated with a Bachelor of Science Degree in Radiologic Science and a Master's Degree in Business Administration. Chris is serving his second term on the school board. Chris is employed at Perry County Memorial Hospital as the Vice-President of Operations. He lives with his wife Kim and two children in Perryville. 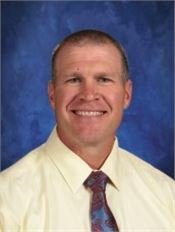 Terry Wibbenmeyer, Member graduated from St. Vincent High School is 1988. 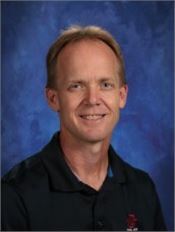 He then attended Southeast Missouri State University and graduated in 1992 with a Bachelor of Science Degree in Industrial Technology. For the past twenty-five years, he has been employed at T.G. Missouri. His current position Senior General Manager of Production for the Interior/Exterior Division. Terry's wife, Lisa (Lukefahr) Wibbenmeyer is a 1989 graduate of St. Vincent and a 1996 graduate of Southeast Missouri State University. She currently substitute teaches for St. Vincent and teaches private swimming lessons. Together, they have four children, Veronica (Class of 2015 SV graduate), Luke (Class of 2017), Tyler (Class of 2019), and Elizabeth (Class of 2020). In his spare time, Terry enjoys watching his children compete in SV sports as well as boating, swimming, and spending time with friends and family.